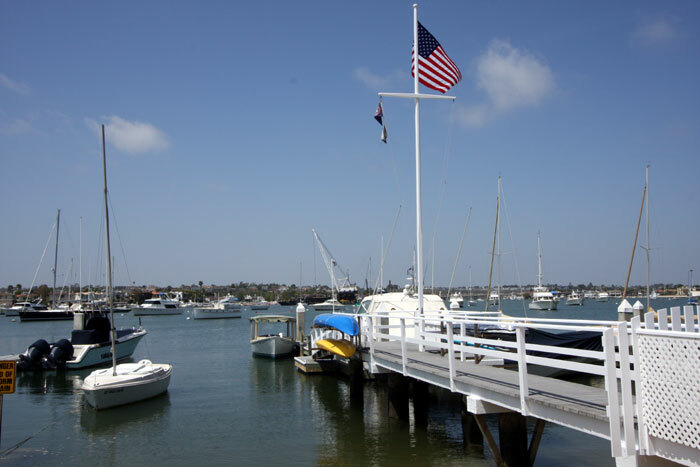 NEWPORT BEACH — At a Nov. 28 special meeting, the Newport Beach City Council decided to hold off on its proposal for substantial increases to residential pier fees in Newport Harbor. More than 900 homeowners with private docks in the harbor would be affected by the move, and many of them showed up at the meeting to voice their opposition. The proposed changes would increase their $100 annual fee to a $.52 a square foot charge that would leave residential dock owners paying anywhere from a $400 to $3,000 per year. As the meeting began, tensions were high. A group of homeowners opposed to the increases, called Stop the Dock Tax, has been urging boaters and waterfront homeowners to boycott the upcoming Newport Beach Christmas Boat Parade to protest the new fees. “The money we use to decorate our homes will have to be used to pay the new tax,” wrote the group’s chairman, Bob McCaffrey, in a release. But before the council meeting’s public comment period began, Councilman Mike Henn, who has headed the committee looking at fees and charges throughout the harbor, said a vote on the issue would be delayed at least until the council’s Dec. 10 regular meeting. Following the decision to delay, public comments were heard, with nearly every speaker voicing opposition to the fee increase. Issues raised by the speakers included the city’s proposed dock insurance requirements, appraisal methods for determining the “fair market” rent rate of the docks, and discrepancies with how the square footage charge would be assessed on each dock. One of the most contentious issues was the city’s plan to have homeowners obtain insurance on their private docks that would indemnify and hold harmless the city — a stretch that both City Manager Dave Kiff and city council members agreed went too far. The council will also be looking at exactly how much dock and water area the city should charge for, now that the fee will be based on a per-square-foot rate. The original proposal included all gangway and dock space leading up to the property line, and it included a 10-foot-square radius of water area around the docks. The revised plan outlined by Kiff during the meeting would round the corners of the 10-foot radius around the docks, and it would eliminate charging for unusable water area on the back side of docks. Future changes to insurance and liability requirements won’t be discussed until January, but city council and city staff members appeared in agreement that they had overreached on the “indemnify” clause — which homeowners protested would mean steep increases to their insurance policies, if they could even find an insurance carrier to provide for such a measure. With the city council set to readdress the dock fee hikes at the Dec. 10 meeting, the issue’s effect on the upcoming 104-year-old Christmas boat parade, planned for Dec. 19-23, remains to be seen. Christine Thagard, representing the Newport Beach Dock Owners’ Association, urged homeowners and boaters to withdraw from the parade, and to turn out their lights during that weekend, to send a message to the city in solidarity against the fee raises. While more than 30 residents spoke out against the fee hikes at the special meeting, only a few said they would be participating in the boycott — and Commodore’s Club member Tom Johnson condemned the boycott. “Boycotting the parade doesn’t hurt anyone up there, (motioning to the city council members), but it will hurt the harbor’s businesses,” Johnson said. Dave Beek, owner of Island Marine Fuel on Balboa Island and chairman of this year’s Christmas Boat Parade, said the plan to turn the lights out on the harbor’s biggest tradition was a mistake. “You can’t muddy up the parade with politics,” said Beek, who has been involved with the parade as a part of the Commodore’s Club for the past 10 years. While the city has residential pier fees currently in its sights, Beek said he has been hit by the mooring fee increases voted on in 2010 that raised the moorage rates for his boat, and the commercial dock increases approved earlier this month that will hit his marine fuel business. So far, the parade appears unaffected by the potential boycott, and Beek said he actually received a few new entries from boaters, once they heard about the potential of a boycott. Last year, more than 70 boats participated in the parade, but parade organizers are hoping to reach more than 100 for this year’s event.